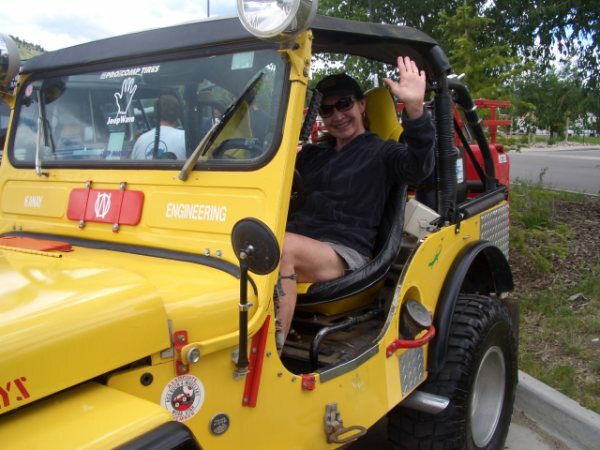 New pictures have been posted on the photos page from the South Park 4×4 Club Jeep Show & Shine in Silverthorne, CO. We were hosted by Vista Jeep this year and couldn’t have asked for a better day for jeep waving! To honor the Dad’s out there, we’ve dropped the price on our Jeep Wave T-Shirts. Head on over to the Gear page and get yours today. If you don’t see the color you want, send us an email and we’ll make it for you! Head over to the ordering page and check out the new color / size options for the men’s Jeep Wave Shirt. We’re also introducing a brand spankin’ new Ladies Tee! It’s a form fitting shirt with a smaller logo so you ladies can show off your Jeep Wave in style.